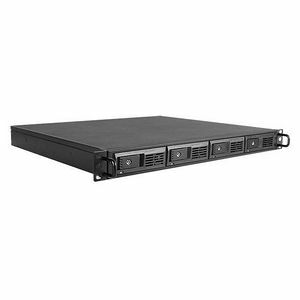 DAGE104UTL-NAS is an external 1U-4 bay hot-swappable SATA rackmount disk array NAS storage chassis. It provides users a most big storage capacity for up to 4 hard drives for RAID configurations in 1U form factor. Two 40mm ball bearing fans offer long lasting and enhanced thermal cooling solution. DAGE104UTL-NAS provides maximum storage and performance to high density storage system.